Before you go straight to our highly-researched top picks for the best dog beds, please ensure you read these informative easy-to-follow guidelines first – it will give you much clearer picture what’s the most suitable for your individual fella. Before we start, here’s a table of content for your convenience. Why do I need an indestructible bed for my dog that might cost more? Now that you know for a fact that your companion needs a bed or sofa in general, let’s get to the actual question at our hands – why the indestructible beds? If you’re looking into this article, you probably already have a feeling that not every other bed offered on the market will work for your dog as they are creatures of habit to chew even the most inappropriate things. For heavy chewers, you’d really have to do an exhausting research as most of the so-called indestructible dog beds on the market, in reality, have no more durability when faced against your big fella than your typical dog bed. In fact, it can be dangerous – the particles ripped out the bed can be swallowed and cause some serious health issues. Luckily, we have highly-researched answers for you here. You need a quality indestructible (or very durable) bed for your dog to 1) prevent the aforementioned health danger, 2) ease the cleaning process, 3) actually save money in a long-run since these beds are more durable. After reading our informative easy-to-follow guide, we are certain that you will be able to find the most appropriate bed for your dear companion. We have also added our personal top picks that you should consider. 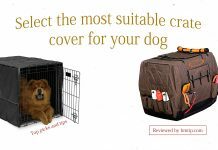 Please note that in this article we are focusing more on the durability (indestructible dog beds) rather than beauty and comfort of it, although the latter one is definitely a measure we take into account when offering our suggestions. 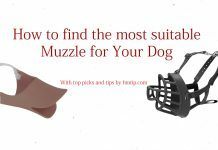 How to find the best dog for my heavy chewer? Now, with all that in mind, you should look at the chew-proof materials and technology that comes in the play. You’ll get specifics when we review each individual dog bed for you. Additionally, you should try avoiding unnecessary zippers, straps, buttons and other redundancies. Material-wise, consider also how long it can last without deforming and causing some health issue. The US manufacturer of this magnificent dog bed gives you a 10-year warranty because they know their product will stand up to the highest standards – it’s 100% water resistant dog bed, the Kevlar thread provides way better seam strength than any other dog bed in the market, it is very durable and chew-resistant. In addition to all this, the product uses innovative and patented LiftTex technology that is a great aid for older dogs to help them get in and out of this comfy sofa. The bed relieves arthritic pain and promotes joint health that is actually relevant for dogs of any age. Romeo Orthopedic bed prevents bacteria growth and repels stains and unwanted odors. The only small drawback we found, considering its price – the portion of hair that do get stuck on the sofa is not as easy to clean as we’d like to. It’s not a mission impossible, however, didn’t fully meet our expectation in this regard. While it can be used outside, for cleaning purposes we’d recommend using it mostly indoors. Other than that, it’s the absolute top-notch and king of chewproof dog beds. Also, no unnecessary zippers and buttons for this comfy dog sofa. It comes in 3 different sizes. Only the largest of the largest breeds, such as Great Dane, might feel a little deprived here (for these majestic beasts, please take a look at our pick No. 3 – Big Barker). It’s no wonder this dog bed is widely veterinarian recommended – now you can also add us to the experts in the field who praise this product. HM tip: Uness you 1) own a huge Great Dale or its counterpart size-wise, and 2) have a very tight budget, we cannot think of any reason not to go for our first choice within the category (and, frankly, dog beds in general). If you can afford a high-quality comfort mattress for yourself, why deprive your dear companion if it actually spends even more time lounging in the house? Get your fella the best orthopedic dog bed! This manufacturer makes very high-quality dog beds for appealing prices. Kuranda Dog Bed – Chewproof – All Aluminum is more appropriate for larger breeds, whereas for small to medium-sized breeds we’d suggest its counterpart Kuranda Dog Bed – Chewproof – Walnut PVC – it supports dogs up to 125 lbs. Please NOTE that regardless of the 5 sizes available, if your companion exceeds this weight, consider the aforementioned All Aluminum; Also, note that only All Aluminum is suitable for both indoors and outdoors, whereas the Walnut frames are not recommended in direct sunlight or high temps. The bed does hold up to the standards and the words used in its name – it’s really chew-proof, and is also easy to clean, as well as rather comfortable with the elevated orthopedic design. Although it’s very solid and should last long, the only discouraging thing about this product is the guarantee they give – the warranty is good for 1 year only. HM tip: Consider this the best price-for-value offer on the market – the high standards are met, yet, it’s considerably less expensive than some of the other top picks. If the 1-year-warranty doesn’t frighten you, go for it – we’ve heard of nobody stating it’s been heavily damaged after this period of time! It’s a fact that a good bed for larger breeds is harder to find than for the small ones. Without a doubt, Big Barker would be way closer to our pick No. 1 if it was one of those 100% chew-resistant dog beds out there (bear in mind, though, it still can handle a lot of that, and the other indicators prove it’s top notch). It’s made of high-quality orthopedic foam in the US and has a 10-year warranty (the foam retains 90% of the original shape for 10 years, or else you get your money back). This bed is easy to clean (the cover is machine washable, use cold water and the lowest heat setting when drying). The bed fully supports big dogs such as Mastiff and Great Dane; For smaller dogs, there’s a fine alternative from this manufacturer – Barker Junior – the difference is in the level or resilience because dogs who weigh less than 50 pounds should get a softer surface than Big Barker (likewise, you get the same 10-year guarantee). Honestly, your big fella will love this product as it provides the comfort and long-lasting quality. The only two drawbacks might be 1) the price, however, remember we’re here for the long-run, and from that perspective, not only your wallet will thank you but also your dear companion’s joints and back, and 2) the fact that you couldn’t call it 100% chew-resistant (though otherwise extremely durable). HM tip: Big Barker is an IDEAL choice if your dog gets enough activities and chewing opportunities elsewhere. Again, it IS a VERY durable bed, even for vigorous chewers, however, it is not as strong as our first two picks (it would still take loads of effort to make some damage even for the strongest jaws, really). Just like humans, dogs have different tastes in things, yet, overall, we believe this is the winner comfort- and health-wise for large breeds. Somewhat similar to our pick No. 2, K9 offers a great alternative that is suitable for both indoors and outdoors. One of the best chew-proof dog beds out there; The manufacturer offers a free repair if by some chance your dog manages to damage it within the first 120 days of use. The aluminum frame is very solid (you’d have to set the bed together upon delivery by yourself, though) and the nylon cover resists chewing, scratching, dirt and water, as well as hair and odors. In the same price category as our pick No. 2 (might be a bit more expensive); Also, available in 5 sizes (the larger, the pricier). The only drawbacks might be somewhat challenging assembly of the bed (though certainly not for everyone) and also no mind-blowing warranty of several years. HM tip: We’d say, if you plan on using it also outside, go for this raised dog bed instead of our pick No. 2 if you have a small to small/medium-sized breed (in which case you’d have to pick No. 2’s counterpart for smaller breeds if you’d still like to use that brand) as this one is completely appropriate for outdoors environment – might be a little more expensive but still a decent price for the quality you get. The reason BuddyRest dog bed ranks relatively low on our list for the best beds for dogs is that it doesn’t fully meet our main criteria for the top – it’s quite far from 100% chewproof, although we cannot berate the manufacturer completely for this as it is somewhat chew-resistant and might be durable enough for a great portion of dogs. With that being said, other factors, if not make up for it, does nothing but enhances this model – it’s very good for joint health, provides great comfort, and doesn’t require frequent cleaning as the high tech Crypton performance fabrics really do ensure it has virtually no track of smell and needs to be washed rarely compared to most other dog beds (disclaimer: if used indoors). Another important feature this dog bed has is the water-resistance. Similarly to our pick No. 1, it can be used both indoors and outdoors, however, since it’s not a raised bed like our picks No. 2 and No. 4, we would advise using it mostly inside the house. However, the better similarity to our pick No. 1 is that BuddyRest dog bed also comes with a 10-year warranty. Overall, it makes a very solid dog bed, however, as we’ve pointed out, this list of top dog beds are based on their durability and chew-resistance level first (though other quality factors make a significant impact on our testimonial as well, such as comfort and water-resistance). HM tip: If you realize that your four-legged companion is actually not that much of an aggressive chewer, or has diverted its necessity to chew on something else (durable dog toys, for instance), consider this a great choice for your dog’s comfort, especially if you have an older dog or one with arthritic joint pain. 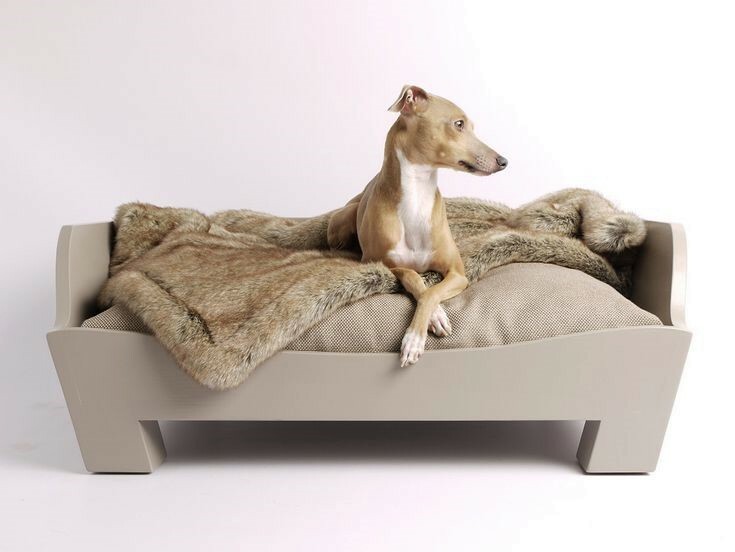 There you go – these are the top 5 dog beds worth your attention in our opinion. Of course, there are many other decent offers as well, however, these are the ones that stood out for their durability, comfort, price-for-value, and other significant indicators. Now, it won’t hurt if we remind you that your [quality] time spent with your companion is crucial to its behavior – a lot of these undesirable activities from owner’s perspective (digging, excessive chewing, etc.) are the result of dog’s boredom and stress. Get up earlier or reserve another time slot for your friend so that he or she gets enough attention and physical activities. Also, for the time you’re absent, leave your dog with something stimulating to do – an interactive toy is a great choice; For unquenchable chewers, we suggest a toy that’s chewable or one that dispenses some yummy treats. As always, you are free to share your ideas and ask questions on any given topic of this site. Moreover, if you still cannot decide which dog bed would be the most suitable for your four-legged friend specifically, drop us an email and we’ll easily figure out the best for your situation together.